-WAHLEN-09-1211-006.qxd:. 6/30/10 3:05 PM Page 508 508 Chapter 6 Financing Activities EXHIBIT 6.18 General Electric Company Stock Option Disclosures (Problem 6.24) Year 4 Year 3 Year 2 Number of Options Granted a 27.141 8.261 46.928 Average Option Price per Share $32.26 $31.19 $27.37 Average Market Price per Share at Time of Grant $32.26 $31.19 $27.37 Fair Value of Option Granted per Share $ 8.33 $ 9.44 $ 7.73 Vesting Period of Options Granted, years 1–5 1–5 1–5 Option Valuation Assumptions: Discount Rate 4.0% 3.5% 3.5% Volatility 27.7% 34.7% 33.7% Dividend Yield 2.5% 2.5% 2.7% Expected Option Life, years 6.0 6.0 6.0 Number of Options Exercised a 43.110 43.829 29.146 Average Option Exercise Price $10.54 $ 9.45 $ 9.45 Average Market Price at Time of Exercise $32.68 $27.59 $31.86 a Amounts in millions. Required a. The average option price per share and market price per share at time of grant is equal in each year ($27.37 for Year 2, $31.19 for Year 3, and $32.26 for Year 4). Speculate on why GE structured the stock option grants this way in each year. b. What are the likely reasons that the fair value of options granted per share increased from Year 2 to Year 3? c. Compute the amount that GE received from the exercise of stock options each year versus the amount it would have received if it had issued the same number of shares on the market. d. Refer to your answer to Part c. Discuss why GE is willing to sell shares of its stock to employees at a price (average option exercise price) much lower than the firm could obtain for shares sold on the market (average market price at time of exercise). e. Refer again to your answer to Part c. Compute the effect of stock-based compensation on net income for each year, assuming that stock option compensation expense equaled the difference between the market price and the exercise price of options exercised. f. Discuss the strengths and weaknesses of each of the following approaches to recognizing the cost of stock options: (1) no expense as long as the option price equals the market price on the date stock options are granted, (2) expense in the year of the grant equal to value of options granted, and (3) expense in the year of exercise equal to the benefit realized by employees from purchasing shares for less than market value. -WAHLEN-09-1211-006.qxd:. 6/30/10 3:05 PM Page 509 Starbucks 509 INTEGRATIVE CASE 6.1 STARBUCKS A common practice of fast-food and retail coffee shop chains such as Starbucks is to lease some or all of their retail space. Starbucks’ Form 10-K filing states that the firm “leases retail store, roasting and distribution facilities and office space under operating leases.” Note 12 to Starbuck’s Consolidated Financial Statements for the fiscal year ending September 28, 2008, provides the following future operating lease commitments of Starbucks as of the end of the fiscal year (amounts in millions). Fiscal Year Ending in: 2009 $ 741.0 2010 706.6 2011 660.7 2012 604.6 2013 546.4 Thereafter 1,838.8 Total Lease Payments $5,098.1 Required a. Compute the present value of operating lease obligations using a 6 percent discount rate for Starbucks at September 28, 2008. Assume that all cash flows occur at the end of each year. Also assume that the minimum lease payments after 2013 occur evenly over a four-year period. b. Refer to Exhibit 1.26 (Chapter 1), which reports the fiscal 2008 comparative balance sheet for Starbucks. Compute each of the following ratios for Starbucks as of September 28, 2008, using the amounts as originally reported in its balance sheets for the year. (1) Liabilities to Assets Ratio Total Liabilities/Total Assets (2) Long-Term Debt to Long-Term Capital Ratio Long-Term Debt/(Long-Term Debt + Shareholders’ Equity) c. Repeat Part b but assume that Starbucks capitalizes operating leases and reports them as part of long-term debt. d. Comment on the results from Parts b and c. To what extent does the capitalization of operating lease obligations affect your assessment of Starbucks’ risk? 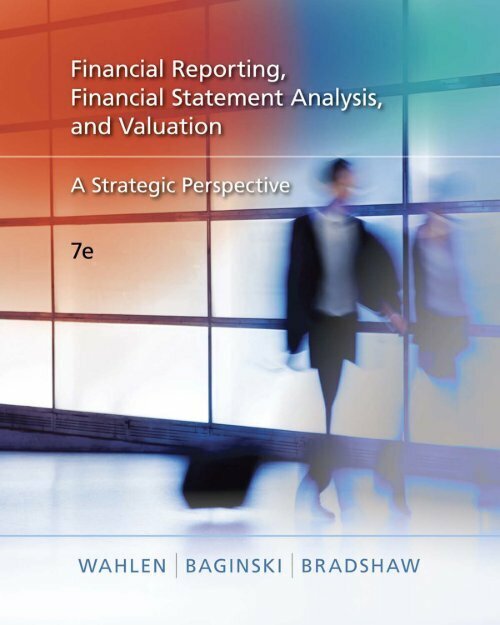 e. Refer to Exhibit 1.27 (Chapter 1), which reports the comparative income statement for Starbucks for Year 4. Note that the firm reports an expense labeled “Cost of Sales including Occupancy Costs.” Speculate why Starbucks reports cost of sales and occupancy (operating lease payments) costs as a combined amount on the income statement. Note: See Integrative Case 2.1 (Chapter 2), which addresses Starbucks’ accounting for income taxes.